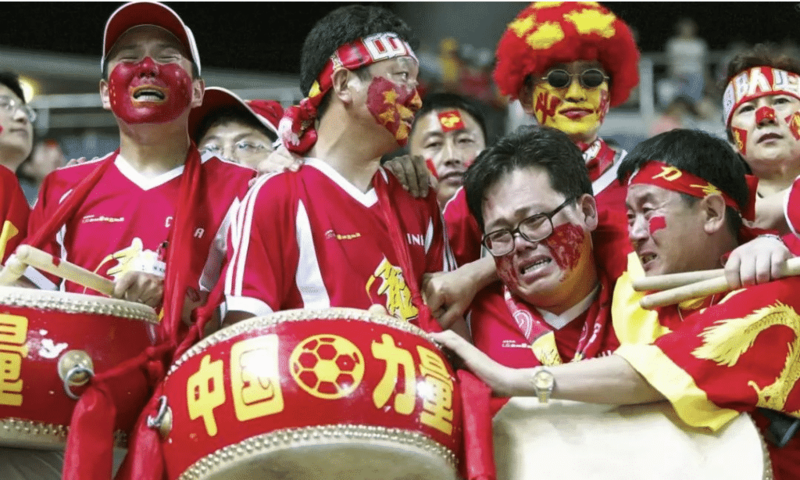 Pictured above: inconsolable Chinese football fans, who, in spite of not having a national team to root for, are going to the World Cup in Russia by the tens of thousands. The traditional Chinese drums say, China Power. [dropcap] N [/dropcap]o team, no national glory, no nothing, yet for this year’s Football World Cup tournament in Russia, 100,000-plus Chinese still traveled there for the love of the game, their admiration of the host country and friendship with its people (http://en.people.cn/n3/2018/0427/c90000-9454552.html). Not having a team in the competition did not seem to make Chinese companies hesitate to spend big bucks on World Cup sponsorship either, shelling out over $800 million for the rights to use the logo (http://en.people.cn/n3/2018/0613/c90000-9471113.html), twice as much as all US companies combined. 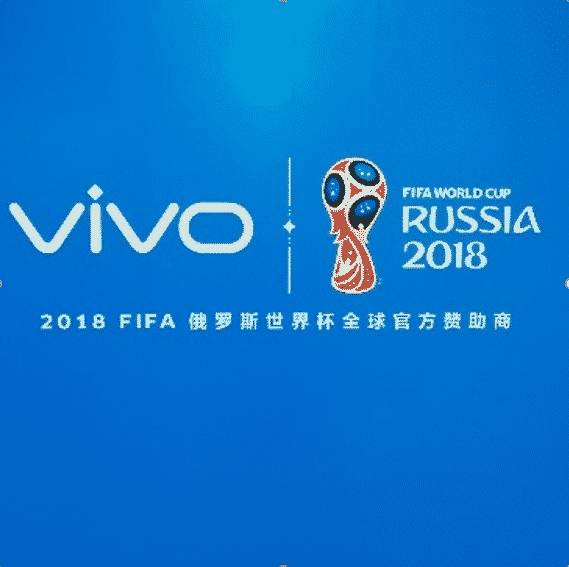 Hisense (home electronics), Dalian Wanda (movie theaters, amusement parks and real estate), Vivo (smartphones) and Mengniu (milk and dairy products) are among the Chinese companies that can sponsor the World Cup. 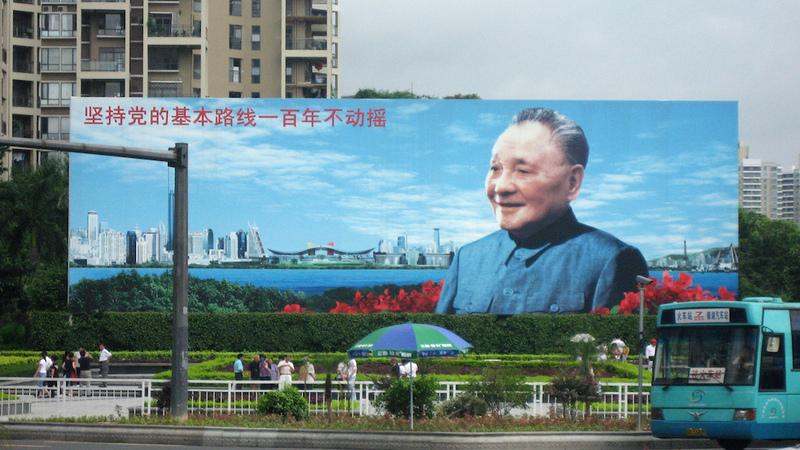 For months, Vivo saturated Shenzhen’s metro stations with the below ad. The name “Russia” was the second biggest word in its ad, after Vivo. This Vivo smartphone ad saturated Shenzhen’s metro stations for months. 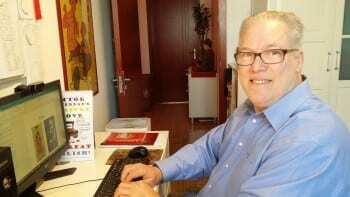 Unlike Westerners, who have been completely brainwashed to fear and loathe all things Slavic, the Chinese love Russians and their country (http://chinarising.puntopress.com/2018/06/17/russians-are-much-admired-and-putin-is-loved-by-the-chinese-for-good-reasons-china-rising-radio-sinoland-180618/). Western Big Lie propaganda has been working furiously to discourage people to go to Russia for the World Cup, with CIA-concocted scare stories about non-existent neo-Nazi Russian hooligans, when they are actually in Ukraine and Western Europe, the birthplaces of international fascism (https://www.theguardian.com/news/2018/apr/24/russia-neo-nazi-football-hooligans-world-cup). English Nazis were filmed singing fascist songs and saluting Hitler in Volgograd, one of the host cities for the World Cup. This is a town that sacrificed 2,000,000 lives to defeat Nazism during World War II, (https://www.rt.com/sport/430370-english-fans-nazi-video-volgograd/). Maybe that was the truth that they were trying to insult. 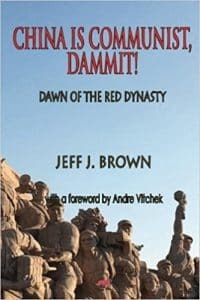 Euranglolanders have no shame, since they are organically racist (http://chinarising.puntopress.com/2018/01/06/slavs-and-the-yellow-peril-are-niggers-brutes-and-beasts-in-the-eyes-of-western-empire-china-rising-radio-sinoland/). It’s not Russian racism. That is Eurangloland’s specialty, as can be seen with a British lord doctoring a photo to denigrate the Senegalese national team (https://www.rt.com/sport/430319-alan-sugar-senegal-tweet-reaction/). Unfortunately, crooks exist around the world and big sports venues are infamous for fake ticket scams. Over 3,500 bogus tickets were sold to Chinese fans going to the World Cup, these by a criminal outfit in Russia (http://www.globaltimes.cn/content/1107305.shtml). Ouch! 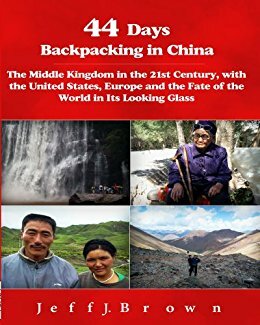 In any case, with the world’s largest middle class and adding some 10,000 citizens a day to this economic group (http://chinarising.puntopress.com/2017/05/19/the-china-trilogy/), China’s clout on the world stage in the arena of consumer goods, marketing and advertising will only continue to grow. China already has a top ten global brand in ICBC, the world’s biggest (people-state owned) bank and other Sino-brands are moving up the charts (http://brandirectory.com/league_tables/table/global-500-2017). This list will look radically different in ten years, as Made in China goes global. 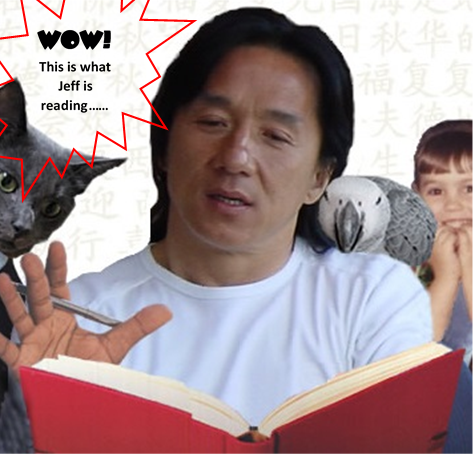 Can you imagine what would have happened if China had made it into the World Cup this year? Instead of 100,000 forlorn coulda-woulda-shoulda fans in Russia, it might have been a million. The Chinese love football, even sporting it as décor in metro cars (http://chinarising.puntopress.com/2017/10/15/brics-themed-metro-line-demonstrates-deft-soft-power-china-rising-radio-sinoland-171015/). Xi Jinping is a huge fan and having the president in your camp never hurts (http://www.scmp.com/news/china/policies-politics/article/1871444/chinas-soccer-mad-president-xi-jinpings-passion). 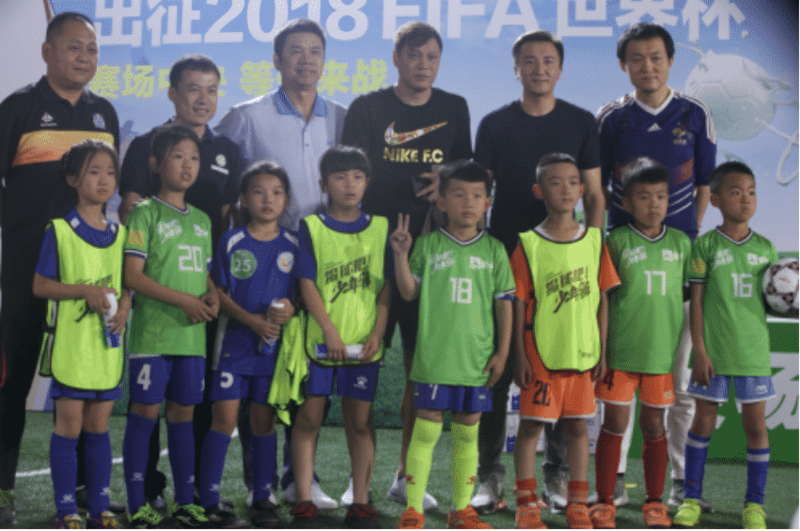 Future Chinese World Cup players, coming up through the country’s ambitious pyramid development system, adopted from Europe. Notice there are four girls and four boys. Baba Beijing likes its chances to win the Women’s World Cup too and is investing heavily in girls’ developmental football. 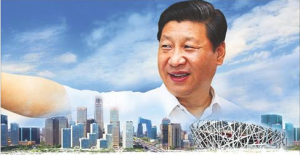 Since Xi was elected president in 2013, Baba Beijing has adopted Europe’s children-junior-senior-college-semipro and professional pyramid model of development, spending billions around the country on facilities, schools, camps and programs. China’s short-term goal is to rightfully gain hosting a future FIFA World Cup. Longer term, the aim is to win the darn thing. It’s going to take a generation of building and working, but one thing you should never do is sell the Chinese short. 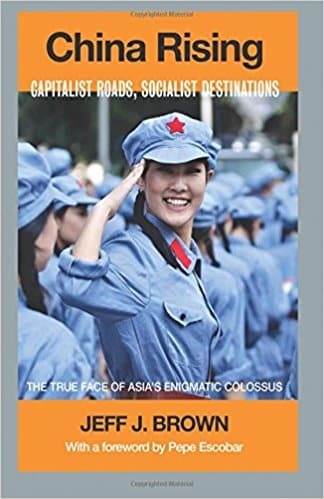 With Baba Beijing’s centrally planned communist-socialist economic system and rolling five-year plans, this country and its hard-working citizens can move mountains in a hurry (http://chinarising.puntopress.com/2017/10/25/how-can-western-capitalism-beat-this-thats-the-rub-it-cant-china-rising-radio-sinoland-171022/). Every World Cup match is played live and replayed many times in China. 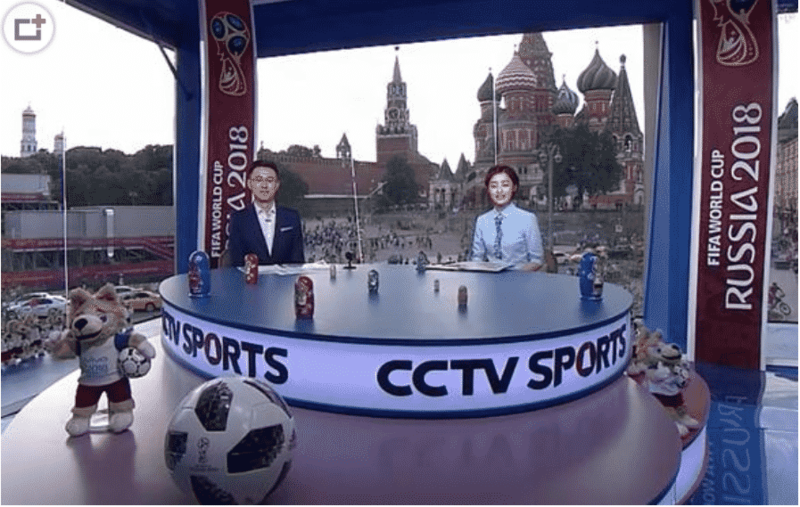 Above is the studio set for CCTV Sports, China’s national television station. All the cultural symbols are there: the World Cup mascot, a football, matryoshka dolls and Moscow’s Red Square. Thousands of these souvenirs will be coming back to China in suitcases. Postscript: This article says each Chinese football fan visiting Russia will spend an average of ¥30,000 each, or about €/$4,500. That comes to a total of ¥3 billion, or about €/$450 million – almost a half a billion dollars pumped into the Russian GDP. Four thousand Chinese are arriving in Russia every day, on 20 direct flights. In an international poll, 87% of the Chinese want to watch the World Cup, more than Russians, Brazilians, Italians and US citizens. The love affair between the peoples of Russia and China continues to flourish (http://en.people.cn/n3/2018/0621/c90000-9473680.html). Postscript II: even without a team at the World Cup, this competition has caused an upsurge in illegal, private online lotteries, with Baba Beijing shutting them down as fast as they keep creating them. For China’s legal government sports lotteries, the proceeds which are used for worthy causes like poverty elimination, the World Cup has caused a seven-fold increase in ticket sales (http://www.globaltimes.cn/content/1109038.shtml)!